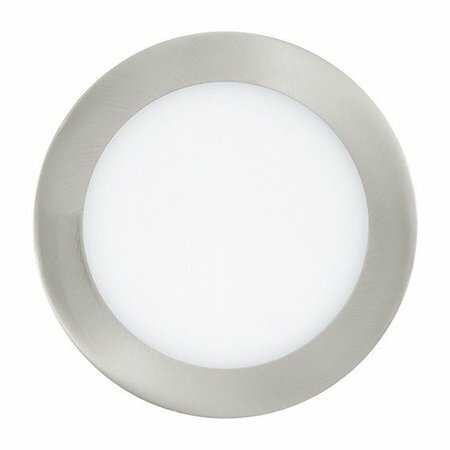 With the EGLO Connect Fueva-C recessed spot, you can completely illuminate your home to your personal taste. The installation depth of this spot is only 30mm! The spot has a diameter of Ø170mm and the saw size is Ø155mm. 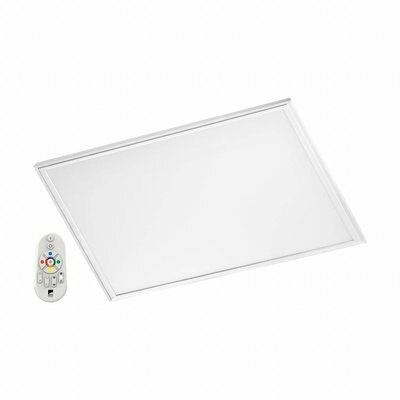 The edge of the spot is available in white or nickel-mat. 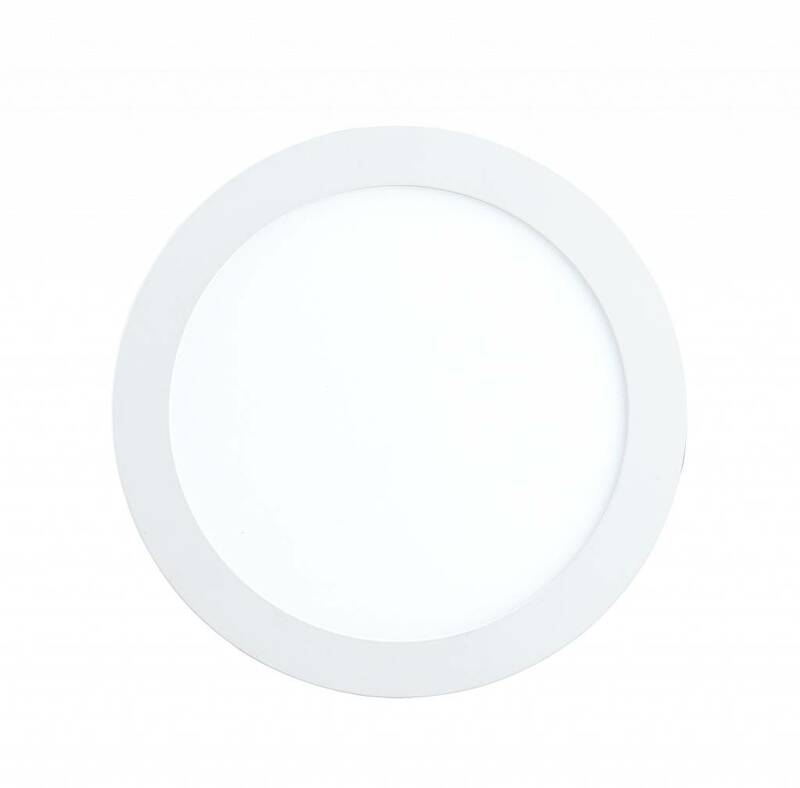 This downlight can be operated via the free App (iOS and Android) on smartphones, tablets and smartwatches or via the EGLO Connect remote control . Choose from fifty thousand shades of white (from an atmospheric warm to a functional cool light color) or sixteen million intense colors. 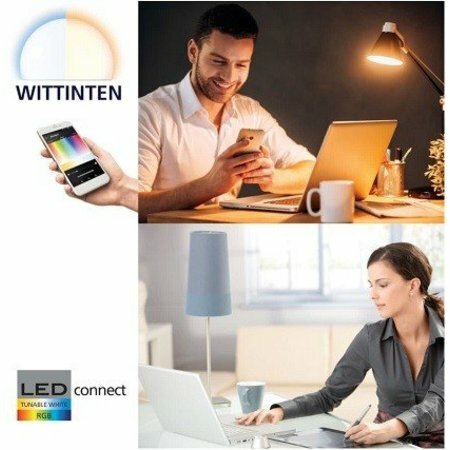 Dim your light to the perfect light intensity for work, watching TV or relaxing. Pre-set scenarios help you to immediately create a good light atmosphere. Of course you can also record your own choices as a favorite. All settings are automatically saved in the Cloud and are shared when you use your account on different devices. Family members and / or friends can operate the system if you give them permission. Via the App every EGLO Connect lamp can be operated individually. The lamps can also be put in groups. In this way you can change the light of all EGLO Connect lamps in eg living room or bedroom at once. The App offers many more functional and interesting functions. 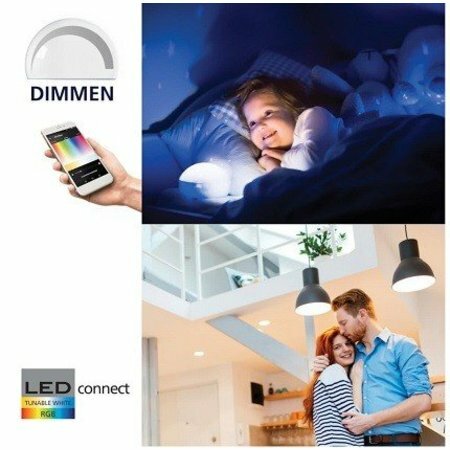 With timers you can simulate sunrise and sunset in your bedroom or turn on the light in the evening in the room you want. 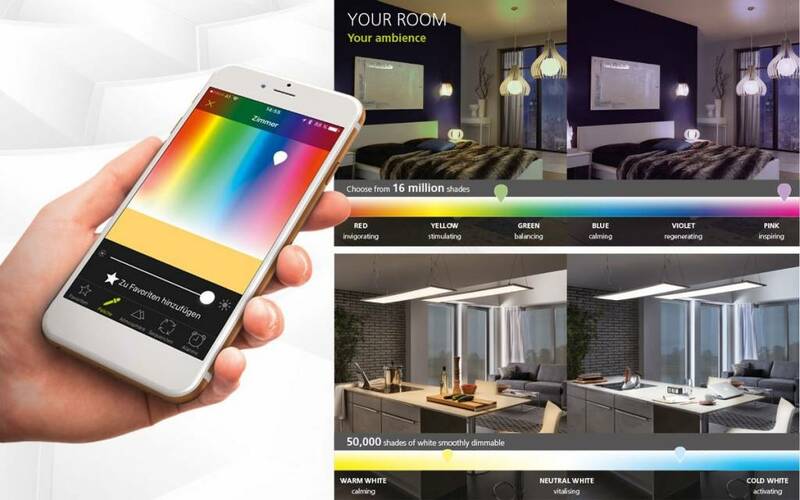 With the presence simulation function you can set your lighting so that it looks like your house is inhabited while you are away. A safe feeling. So you go on vacation without any worries! Connect your music library to the Connect App and turn your room into a disco. 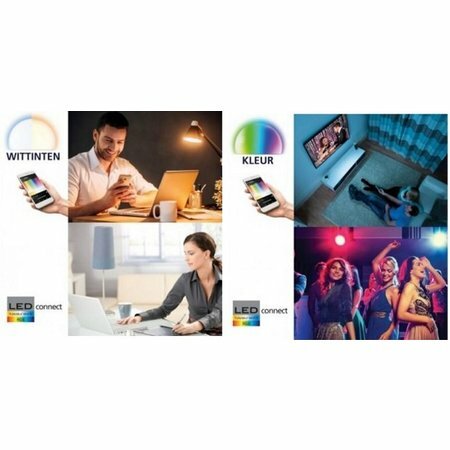 The possibilities of EGLO Connect are endless and they are regularly improved and / or extended with updates of the free App. 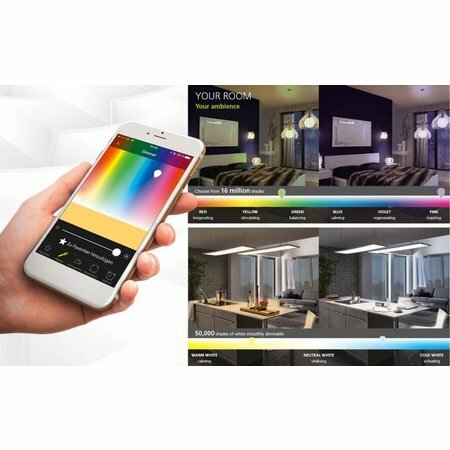 Due to the built-in Bluetooth® technology (Bluetooth® low energy technology / Bluetooth® Smart), you do not need any other accessories at EGLO Connect, such as expensive and complicated gateways / bridges. 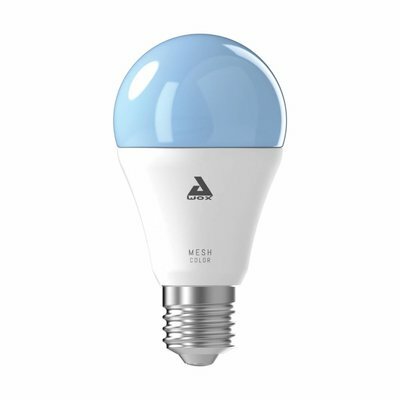 Due to the high energy efficiency of Bluetooth 4.0®, your electricity costs remain low. 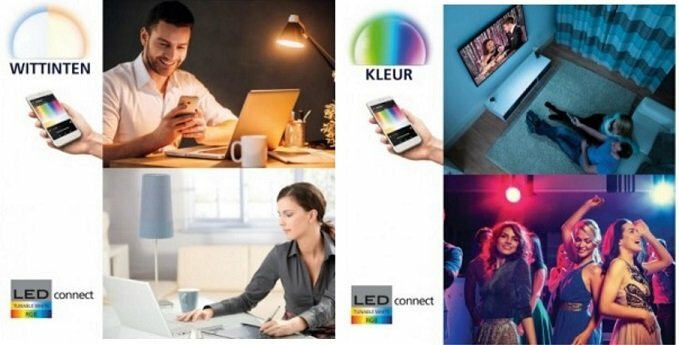 With every lamp you add to your system your network grows because EGLO Connect products communicate with each other as soon as they come within each other's range of approx. 12 meters. 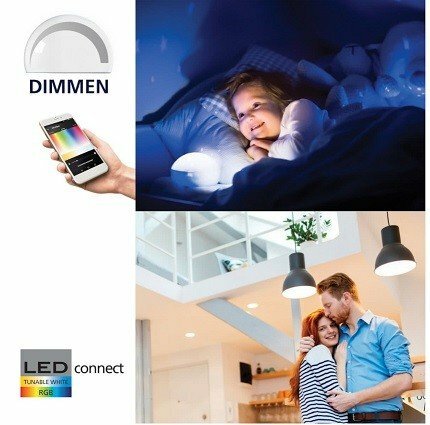 This way, thanks to the MESH technology, you can connect up to 50 lamps and build your own Bluetooth® network that covers your entire home and garden. And all that goes entirely by itself. You do not have to program anything for this. So you do not need any sense of computers, networks, routers, etc. 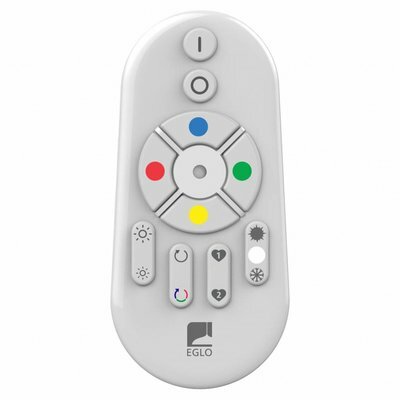 EGLO Connect is super easy to install and safe to use. • Dimensions: Ø 170 mm. • Installation depth: 30 mm. • Saw size: 155 mm.